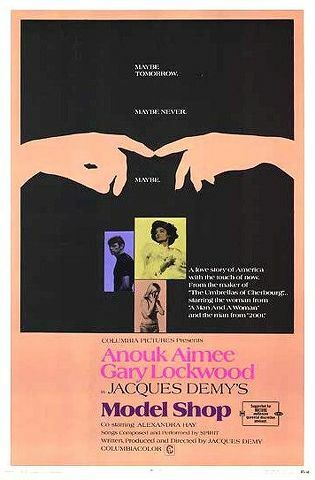 George (Gary Lockwood) is a disillusioned 26-year-old who has just quit his stifling job. He lives in Los Angeles with an aspiring young actress named Gloria (Alexandra Hay), who is none too pleased with his recent unemployment. Hanging over his head is the constant threat of repossession of his car and the virtual certainty that he will be drafted into the army. He sees a beautiful woman in a big car and follows her to her home in the Hollywood hills. 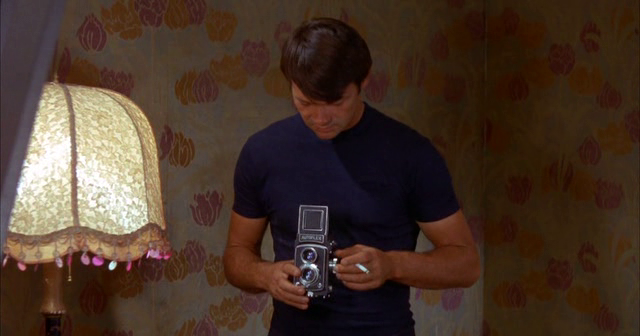 A rock-star friend loans him money for a car and he follows the mystery woman to a photography shop. Lola (Anouk Aimée) is an older French model who poses for photographs to pay the bills. After he takes pictures of her, he begins to fall in love with the woman. Gloria discovers the pictures and throws George out of the house. He returns to the model and the two have conversation over drinks before ending up in bed together. Lola wishes to return home to be with her young son and is reluctant to get involved in a relationship. George’s relationship with Gloria ends when she leaves him over her failure to understand his motivations. He resigns himself to the fact he will be drafted and probably end up dead in a Vietnam rice paddy in this story of a young man in search of the greater meaning of life.